Dealing with your employer’s insurance company can be overwhelming, especially when you are trying to heal from an injury while coping with the financial burden caused by your inability to work. At Pulgini & Norton, our workers’ compensation lawyers represent individuals in Boston and beyond who are suffering from job-related injuries and illnesses. We have significant experience advising injured employees and dealing with insurance companies on their behalf. You seek benefits within four years from when you discover the causal link between your condition and your job. Your employer will report your injury to its insurance company. Dealing with the insurance company, however, can be a challenge, particularly when you are trying to recover from your injury and manage mounting expenses. For instance, you may face obstacles proving your claim, appealing a denial of your claim, or evaluating a settlement offer from the insurance company. It is important that you gather and keep evidence of your injury or illness. You should report your injury to your employer as soon as it occurs, or immediately after you discover a connection between your condition and your work. The insurance company has the right to select a medical provider for an initial assessment of your condition. Although you can select your own medical provider later, you may have concerns over the level of care you will receive to treat your condition. Keeping accurate records and going to your medical appointments can help you prove the severity of your injury and your need for medical treatment if the insurance company denies your claim. The insurance company may deny your claim based on the results of the utilization review, which is the process by which its agent analyzes your medical provider’s plan to treat your condition. If the agent determines that the recommended medical treatment is unnecessary and unreasonable, the insurance company can deny your claim. It may also deny you benefits if it determines that your injury was not caused by your workplace. For instance, the insurance company may conclude that a repetitive stress injury was actually the result of factors unrelated to your job. You can appeal a denial of your claim with the Department of Industrial Accidents (DIA). You will have to provide evidence that your condition is work-related and that the treatment you seek is reasonable. The insurance company may offer to settle your claim for a lump sum. This type of settlement offer replaces your weekly wage and other benefits. In Massachusetts, a settlement offer made in a workers’ compensation case is subject to approval by an administrative judge at the DIA. You should, however, carefully evaluate any offer to ensure that it meets your financial and medical needs before submitting it to the judge for approval. For instance, there is a presumption that you will remain out of the workforce for one month for every $1,500 proposed in your settlement offer. You should also consider how a settlement offer will affect any claim you may have against a third party for your injury. The work injury attorneys at Pulgini & Norton offer counseling to individuals in Boston and the surrounding area. With over 40 years of combined legal experience, our attorneys can provide knowledgeable guidance and diligent representation in your workers’ compensation case. 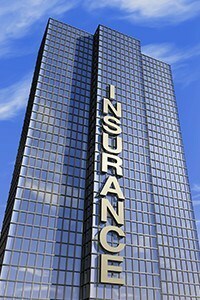 We can deal with your employer’s insurance company while you focus on your recovery. We represent clients in Weymouth, Brookline, and New Bedford, among other Massachusetts communities. Call us today at 781-843-2200 for a consultation. You can also contact us through our online form.